Foliar fertilization is the number 1 way to optimize your yields and nutrient supply in many critical situations. Foliar nutrition is a simple technique for applying nutrients directly on to the parts of plants where they are needed most. It's essential when nutrient supply is insufficient, or requires immediate correction to avoid growth or quality loss. The reasons for temporary insufficient nutrient supply are diverse. Learn more about how foliar fertilization can help you, below. Soil based nutrient absorption should not be left to chance. Ensuring your nutrients are present and available to the plant’s rhizosphere can be tricky. You want to make sure that nutrients get to the plant and don’t get fixed to soil particles. Unsatisfactory soil pH or a low cation exchange capacity can lead to nutrient fixation to the soil. Absorption is negatively affected in drought conditions and soil compaction when water flow is limited. 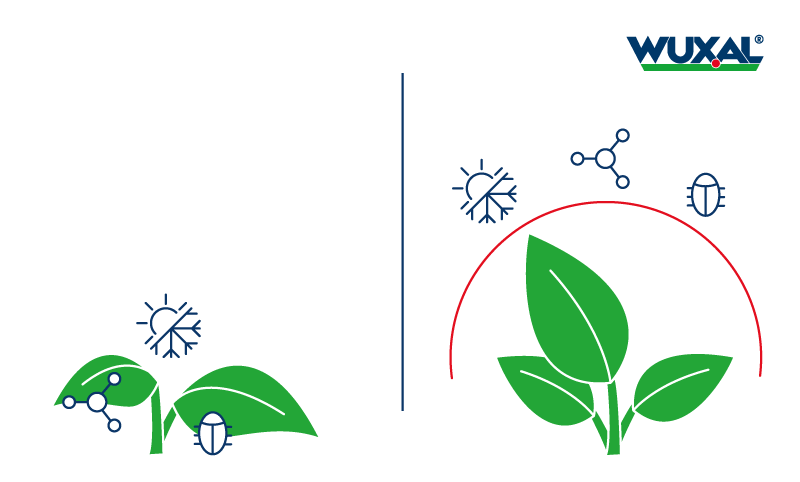 Foliar fertilization means nutrients are applied directly to the plant parts above ground and not affected by soil barriers to nutrient uptake. Nutrition applied to the leaves strengthens the root system and also improves absorption. Temporary deficiencies can occur as a result of interaction with the environment during specific plant life cycles. During applications of plant protection and pest infestations or cold weather at the time of flowering lowers the uptake of essential nutrients via the root system - in this case, foliar nutrition is the only method for applying nutrients that are available to the plant on the areas they are needed. Nutrient uptake via the root system is restricted in extreme weather conditions - plant resources can be limited when this occurs. Nutrient requirements vary between plant species but also within plant life cycles. During critical stages of high nutrient demand such as fruit growth, nutrient supply via the soil-root system may not be sufficient to meet increased requirements. To ensure your crops reach their full potential, it is essential to supplement soil fertilization with foliar nutrition. Plants can concentrate on growth and waste no energy on searching for nutrients. The ability of a plant to transport nutrients internally depends on the species and the areas of the plant. Some nutrients can be distributed easily within the plant while others, like calcium, are difficult to relocate. Local deficiencies may occur that can lead to significant yield losses. Foliar fertilization satisfies nutrient requirements where they are needed, preventing local deficiencies caused by poor distribution. Foliar nutrition is a multifunctional repair tool. It’s the best choice when symptoms of deficiency become visible. The rapid correction of nutrient deficiencies is possible due to the fast nutrient uptake. Learn more about the role individual nutrients play in plants and how deficiencies express themselves.